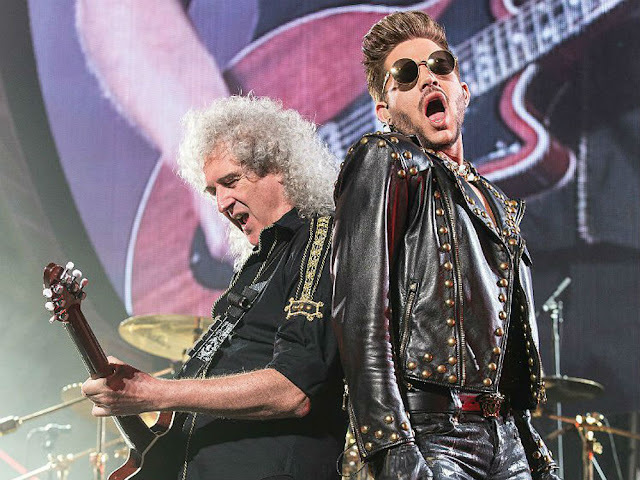 Grammy-nominated pop star Adam Lambert and classic rock group Queen have announced new show dates in Italy and Germany, as part of "One More Round The Block!" On June 13, they will be performing at Lanxess Arena in Cologne, Germany, and on June 19, they will find themselves at the Mercedes Benz Arena in Berlin. 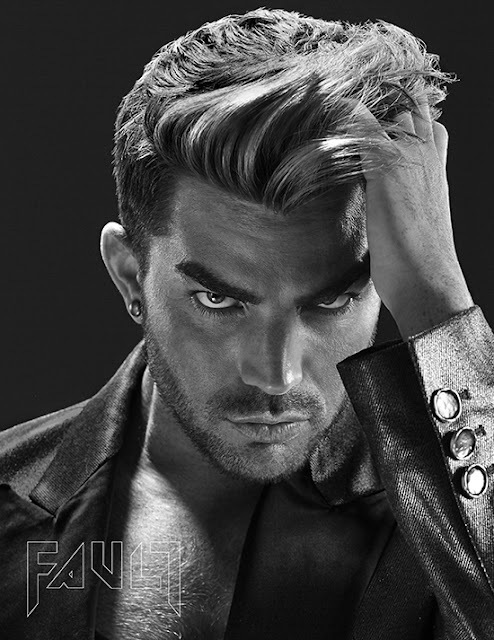 On the following day, June 20, Adam Lambert and Queen will play the Barclaycard Arena in Hamburg. Following their run in Germany, Queen and Lambert will head over to Italy, where they will play at the Forum in Milan on June 25, 2018. Last month, Adam Lambert announced that he will be touring Australia with Queen in February and March of 2018. Sunflower...it's still a long way from "American Idol runner-up" or "Openly Gay Singer" which turned up before Adam's name for a long time. "Grammy-nominated" at least sounds better....even though we all know it SHOULD BE...AND WILL BE one of these days..."Grammy Award Winner"! At least there's no doubt about the "Pop Star" part.....but I feel it should be "Pop/Rock Star", don't you? It'll ALL happen... a lot has already.....there's no denying that talent. Pop/Rock Star does sound better! Pop/Rock Star sounds right to me! Thanks Mirela...voted in all four. There definitely seems to be an agreement that Adam is the male singer with the most personality!...no surprise there. Just want to remind us that Queen has never won a Grammy for a song. There are so many famous, wildly successful artists who have amazingly never won a Grammy. Many were nominated but did not win the award. It boggles my mind that Queen, with all of their incredible music, have never won. My point: don't give up.. and if Adam never wins a Grammy, he's still very successful and has much time ahead of him to accomplish some truly incredible things..
And for the record, Queen has won MANY MANY awards over the years, just no actual Grammy for a song or album as I mentioned in my previous comment.. They HAVE however, been awarded places in the Grammy Hall of Fame for "Bohemian Rhapsody" (2004), "We Will Rock You" and "We Are The Champions" (2008), AND The Grammy Lifetime Achievement Award in 2018 that will be officially awarded later this year at a special concert. 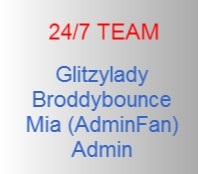 Thanks glitzylady for the info. It had never occurred to me to check out which artists or bands had never won a Grammy. You're right it is very shocking to see in this list who and how many weren't Grammy winners. Queen as you said have been rewarded in other ways and we will not stop believing, Adam is going to have one of his own!!! Great advice and information, Glitzylady. Puts things in perspective for everyone. The truth is, I have not been very impressed by the Grammy winners the last few years. So much is the same old, same old generic stuff....and suspiciously won by the same people over and over again. Maybe there's some PAYOLA afoot at the Grammy's!! These awards are not determined by the fans .. some panel of judges gives out the awards so it wouldn't surprise me any if that's the case!! JMO .. not saying for sure .. just seems probable to me!! Just like radio air play!! JMO .. just call me 'skeptical'!! Phew!!!! Queen have won many awards & rightly so. Hopefully one day, this will happen for Adam.